Designed for a loft where flexibility has to be maximized, horizontally adjustable shelving (rather than vertically adjustable) allows for fluid changes. As different users with different needs use the space, a variety of scales and objects types can be quickly accommodated. Or different moods can be created from organized to whimsically curate. 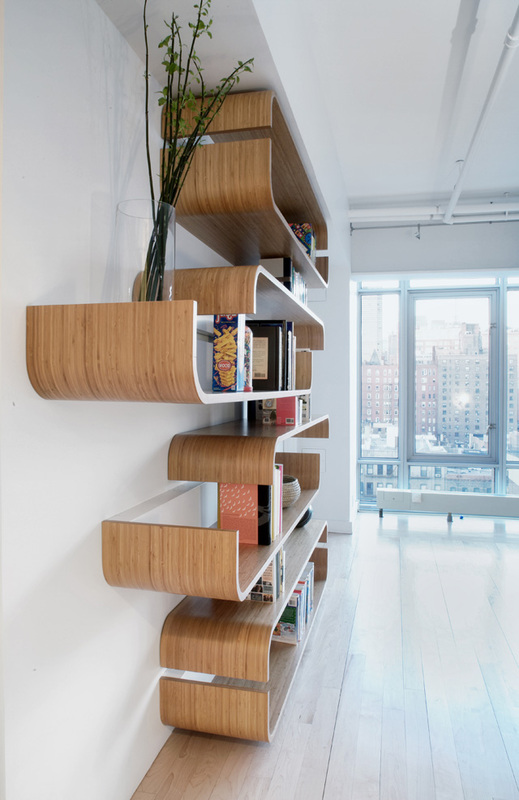 Made out of bamboo plywood, the curved ends can also be utilized as moving bookends.